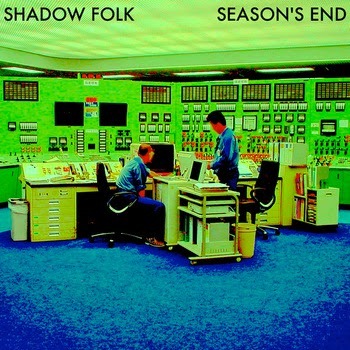 Shadow Folk are a dreamy, dreamy band from Canada and this is their latest collection of songs Season’s End. I believe we referenced these guys not too long ago in our review of the debut compilation from Poncho Records so we must have liked them, and after checking out these three songs, we definitely do like them. Season’s End is a wonderful escape from doing anything and enjoying doing nothing at all. It’s instrumentation is made up of lazily strummed guitars and lazily hit drums, there’s piano chords and bluegrass-y guitar leads thrown in too to help bolster everything and make the track sound thick with casual nothingness, man. It’s tremendous. The lyrics talk about being as high as the moon and the stars and the sun being gone and it’s just lovely, and a very addicting listen. Hey Ganeymwa heads waaaaay into psychedelic territory as it is two minutes of many, many layered vocal harmonies and a guitar solo that has every note drawn out as much as possible over a pulsating beat that makes me wonder what the hell I just stepped into. It does create a nice stop between the sanity to throw in a little interlude of madness. Here At Home brings us back to our journey with four minutes of feel good acoustic-driven goodness, bringing what has been a very entertaining listen to a rather good close. I am honestly now a Shadow Folk fan, and I want to hear more from these guys. Poncho Records, make them make more music please. Thank you. Stream Season’s End below, and for more music reviews, free downloads and a dab of country check out Exploding Head Syndrome on Facebook and Twitter.